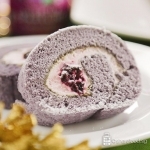 Velvety soft with a generous swirl of blackcurrant cream and jam! 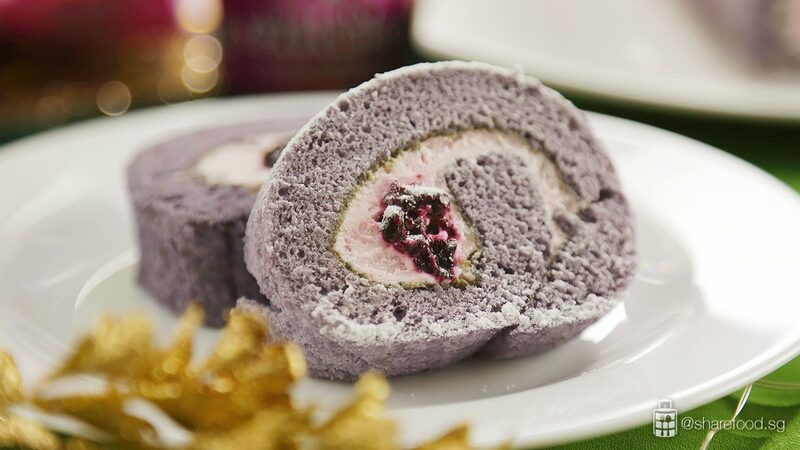 Smooth and luscious, this Blackcurrant Swiss Roll has just the balance of zest and sweetness. 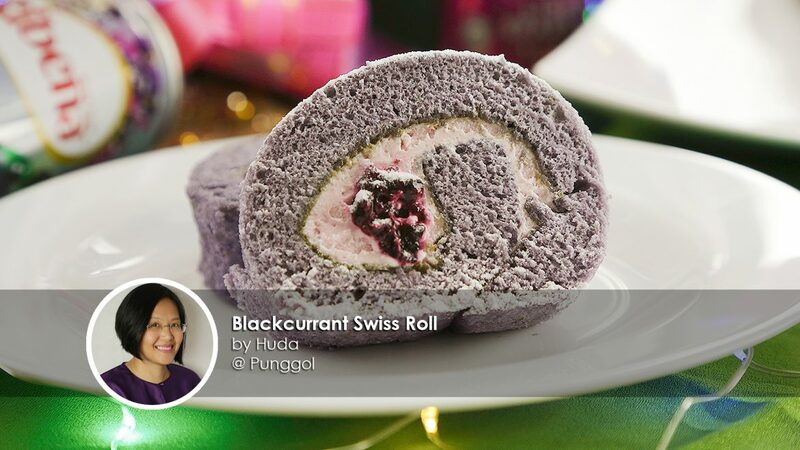 In collaboration with Ribena Singapore, home cook Huda created this new Blackcurrant swiss roll recipe for the upcoming Hari Raya celebrations. 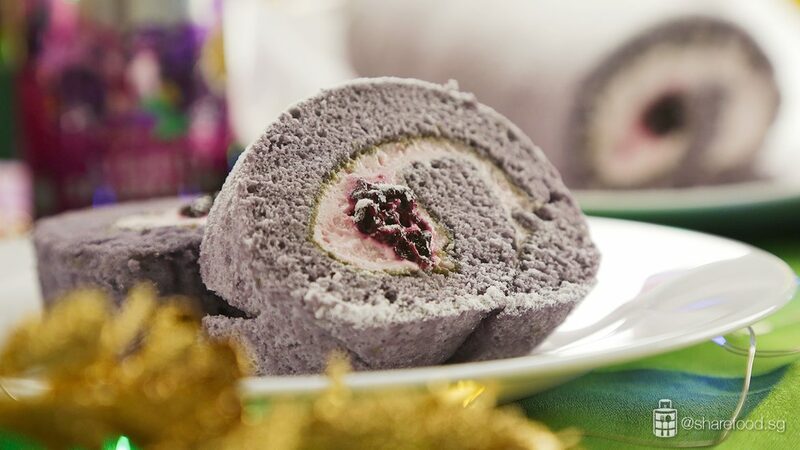 Swiss roll is a popular pastry to have during Hari Raya, and it's also one of her signature bakes when she ran her own baking studio a few years ago. 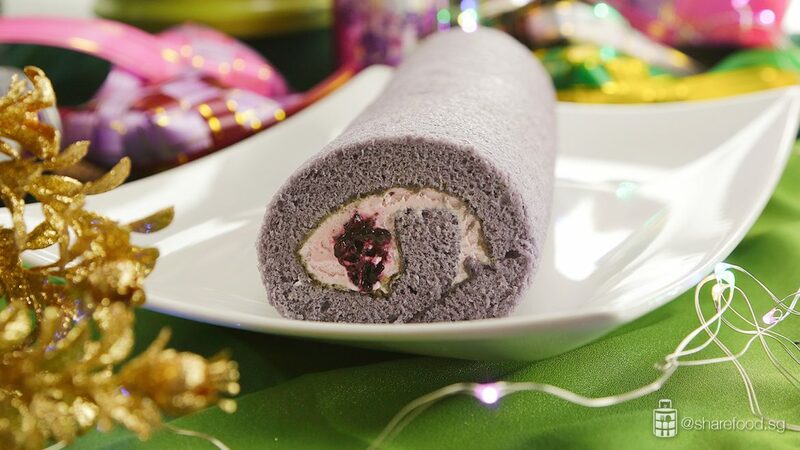 Her family and friends always look forward to having the swiss roll she bakes during Hari Raya, and this year she'll be surprising them with this new Ribena Blackcurrant flavour. With this recipe, you'll be able to bake the perfect swiss roll. The delicate fluffiness of the sponge would make everyone think you've gone through culinary training. 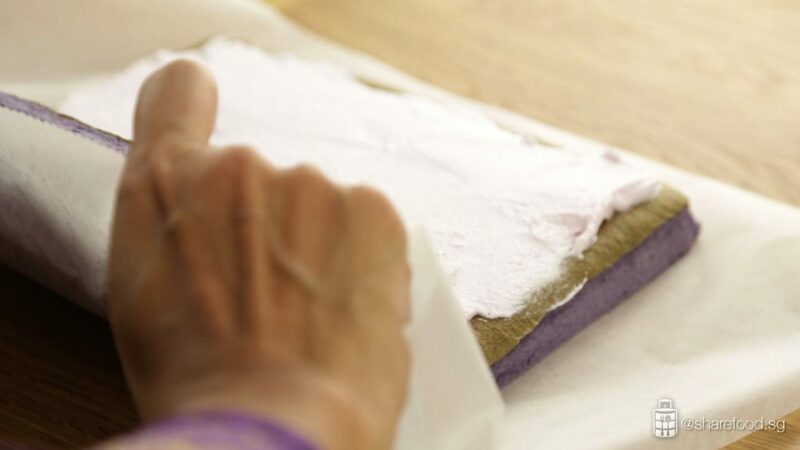 Here are some tips for the perfect cake base, fold in 1/3 of the meringue quickly but gently to prevent it from collapsing. Pour the batter into the baking tray slowly and tap tray to remove air bubbles as this will ensure a soft, smooth cake to roll later. 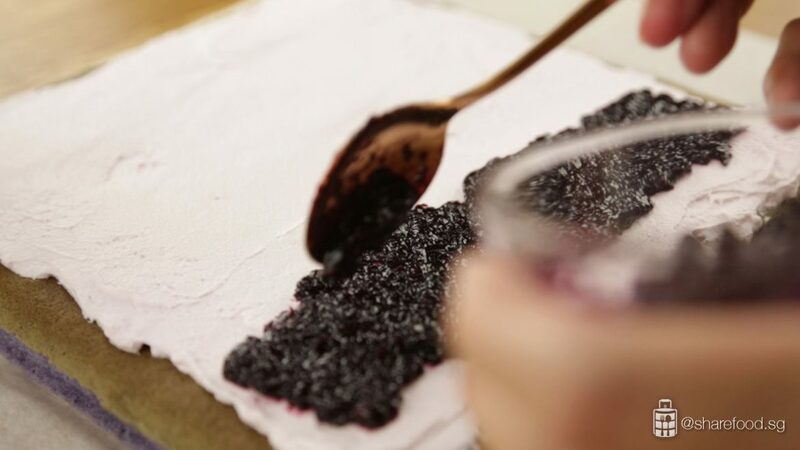 The rich creaminess of the blackcurrant cream is sensuous in the mouth, and the jam gives it a surprising citrusy element that makes it refreshing to have. As appetising as it looks, it sure is one of the best swiss rolls we've ever had! Here's a tip to know when the making the Ribena jam filling. 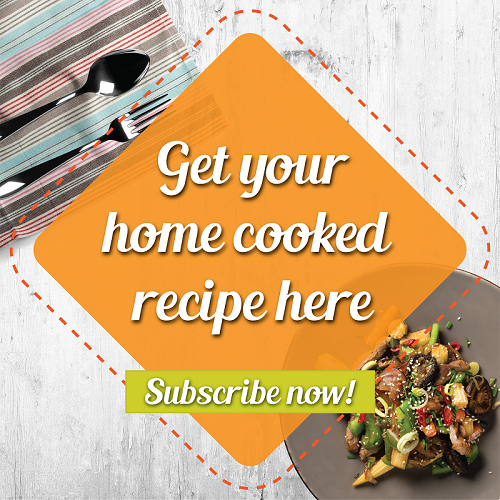 Cook the ingredients over a slow fire and when the mixture becomes a spreadable gel-like consistency, draw a line across the mixture. It is ready when it stays for a few seconds. Bake this for your family and friends, and it would definitely be a showstopper dish this Hari Raya. 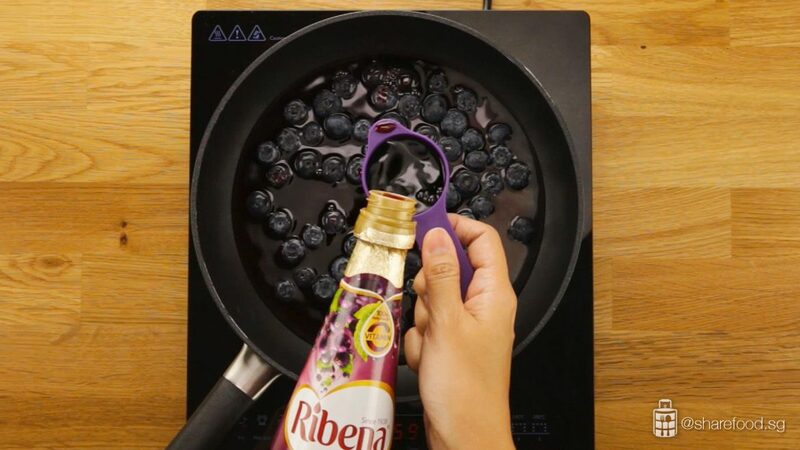 In a small pan, add in blueberries, Ribena blackcurrant cordial and water. Cook over medium heat until mixture thickens. Add in cornstarch. Stir constantly to ensure that the mixture is well mixed. To check if it is ready, use a spatula and draw a line in the middle of the pan. It is ready when the jam becomes a gel-like consistency and line stays visible for a few seconds. Switch off the flame. Set aside to let cool. (Cake batter A) : In a mixing bowl, add in egg yolk, sugar and salt. Mix evenly using a hand whisk. Pour in Ribena blackcurrant cordial and canola oil. Mix evenly. Sift in flour and baking powder, whisk till all ingredients are well combined. Set aside. (Cake batter B) : In a stand mixer, add in egg white. Whisk at medium speed till air bubbles are formed. Add in cream of tartar, continue to whisk at medium speed until it reaches soft peak. Add sugar in 2 portions and add colouring, whisk till firm peak. (Combine cake batter A & B) : Use a spatula, scoop 1/3 portion of B. Fold into A till well combined. Pour the remaining B into A, continue to fold till well combined. 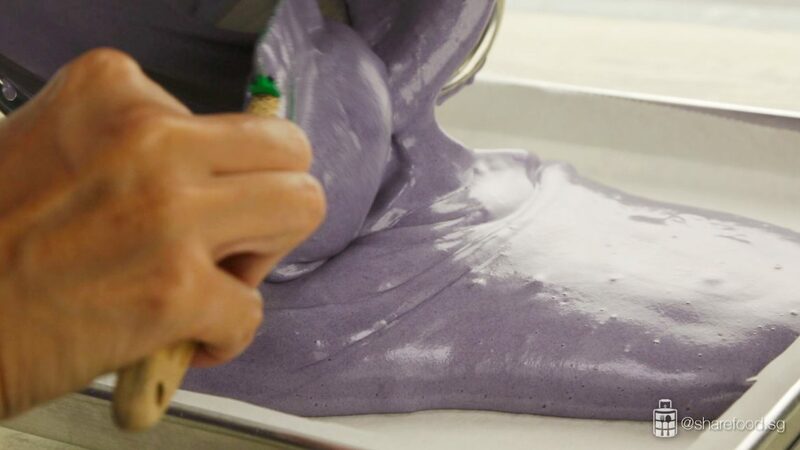 Do not over mix as over handling will cause the cake to be dry, thus making it hard to roll. 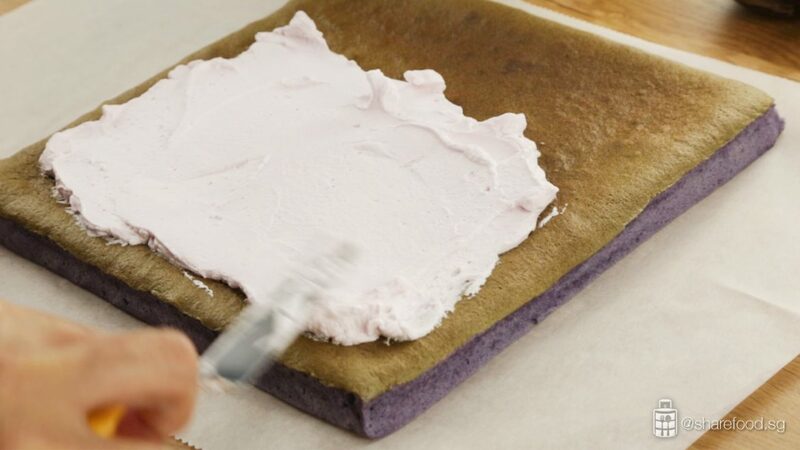 Pour the cake batter into a 10” x 10” tray lined with parchment paper. Tap the tray gently on the table to let the air bubbles out. Use this method if you are using a 36L table top oven: Transfer to the oven, bottom tray and bake for 10 minutes or until baked. The cake is ready when the top turns slightly brown. Use this method if you are using a large capacity built-in oven: Transfer to the oven, middle tray and bake for 15 minutes or until baked. The cake is ready when the top turns slightly brown. Once the cake is ready, set aside to cool till it is slightly warm to touch. It will melt the filling if it’s too hot. 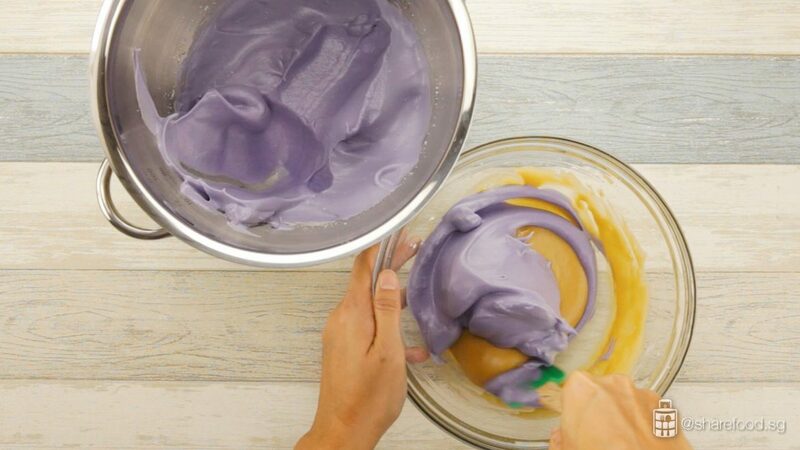 Pour the cream filling ingredient into the stand mixer bowl, whisk both ingredients on high speed till it is light and fluffy. Spread the cream filling over the entire cake. Place the Ribena jam filling at the end. Fold the end and roll. Wrap it with a cling wrap and freeze for at least 1 hour before slicing. Let it sit at room temperature for 3 minutes before slicing it to serve.